Electric Cars For Sale: How They Can Stop The Madness. As gasoline and other transportation fuels become more expensive every year, and OPEC countries turn more violent, volatile, and full of hatred; the time has come to take matters into our own hands, and break lose the shackles that have held us hostages for such a long time. We will increase our disposable income. Reduce or stop financing these oil producing countries that wish us ill. According to USA Today, Sept 5, 2013; the average cost of a new car was $31,252.00. I am sure that now in 2014, this average price has gone up. Lets assume that you are in the market to buy a new car. Instead of buying a new car for $31,252,00 consider buying an used 2011 Nissan Leaf for $13,500.00. In this transaction alone, your disposable income went up by by no less than $17,752.00. Stay with me. According to EPA documentation, average fuel economy for passenger vehicles in 2013 was 23 mpg. Also average yearly driven miles is considered to be 12,000 miles as US commuters drive an average of 33 miles per day. The used Nissan Leaf can store 24 KWh of energy within its electric battery. It can drive an average of 73 miles on a charge. It holds then, that the Nissan Leaf can travel an average of 3 miles per KWh. This electric car will use a total amount of 4000 KWh to drive your yearly total commute which is about 12,000 miles. Now, the average amount US utilities charge per KWh is 13 cents. 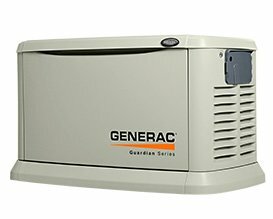 And if we multiply .13 cents, times 4,000 KWh, we have a total cost of $520.00. Now, this is the total cost to operate your Nissan Leaf, since of course, there is no need to add for oil changes as electric cars do not need them. The electric car, Nissan Leaf, saves you $1,603.50 during your first year of use, when compared to a regular gasoline vehicle. Now let us analyze these numbers. 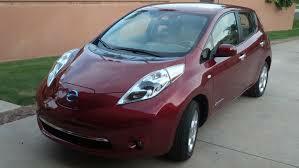 By purchasing the used 2011 Nissan Leaf, over an average gasoline car, you saved $17.752.00 instantly. But now you are saving $1,603.50 every year you use it. Had you continued to use this car for the next 8 and 1/2 years, the car would have saved you enough money to pay for the original investment of $13,500.00. How many other cars do you think can pay for themselves as you use them? This is a no brainer, it makes absolutely perfect financial sense to buy an electric car. Don't let anyone tell you otherwise.